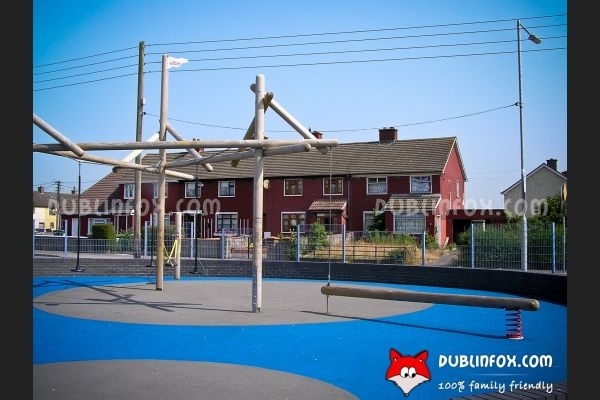 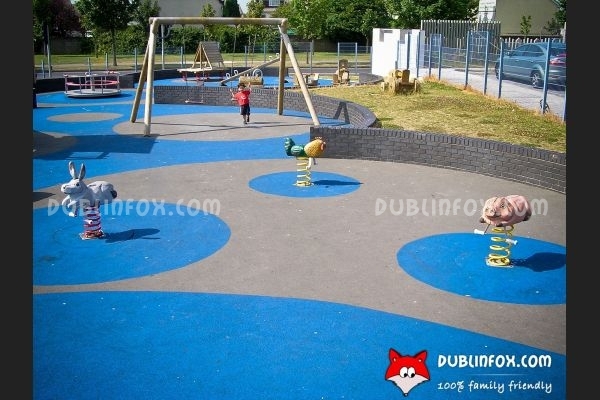 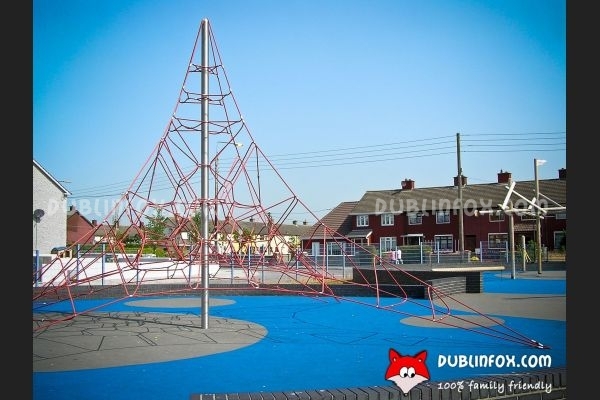 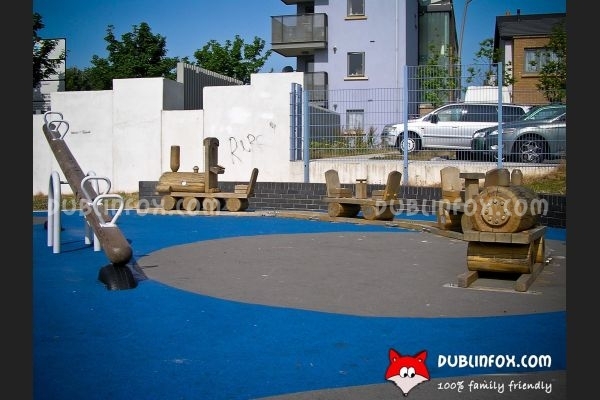 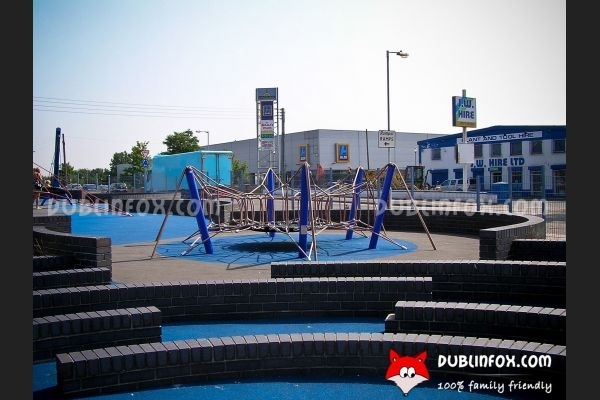 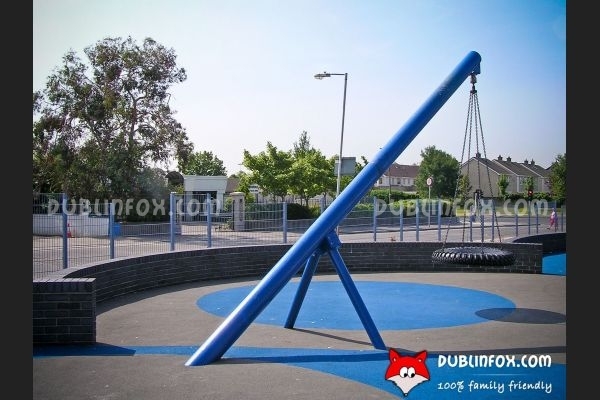 Coolock Drive playground is a relatively new playground on the corner of the busy Oscar Traynor Road and Coolock Drive. 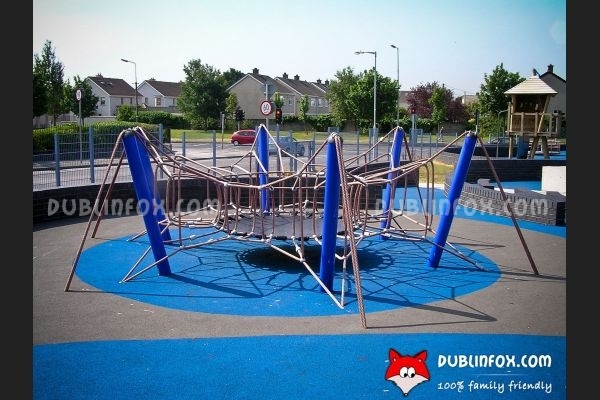 It is divided into two: in the toddler section there are three springers, two normal swings, a slide with a small play house, a see-saw, a roundabout swing, a wobbly hut and a wooden tractor and train which are perfect for little drivers, while in the senior section there are some swings, a small trampoline, a spider web climbing net and a popular one-point swing. 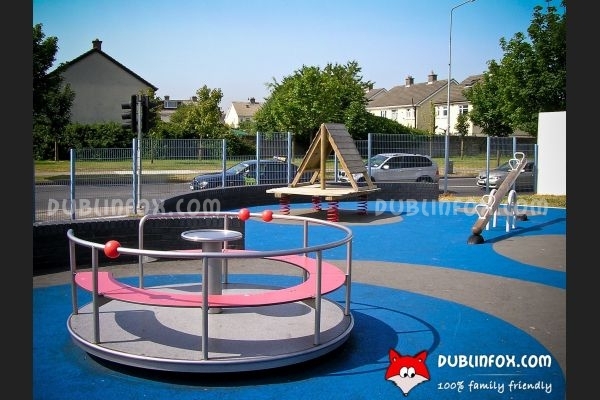 In the middle of the playground there is a kind of stage for young performers, which is a cool idea in my opinion. 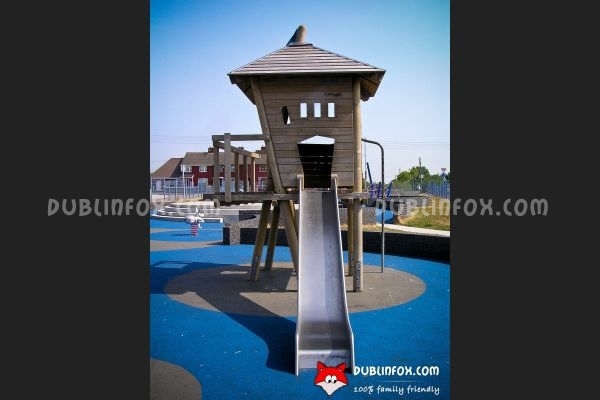 If the weather is good, the playground is invitingly sunny, there is no shade at all unless you hide in the play house or in the wobbly hut. 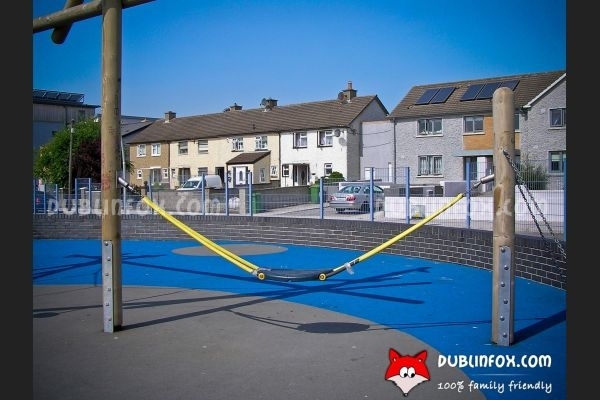 Coolock Drive playground is clean, well-maintained and definitely suitable for smaller and older kids as well.